I'm back! It's been a wild, wild week and a half. One I will never forget. I want to thank each of you for your comments, prayers and support. I really could not have gotten through these last days without them. What a blessing to have you in my life. The babies are all doing well. I got to hold Noah for about and hour and a half yesterday! The nurse said that I probably won't be able to hold him every day just because some of the nurses will not be comfortable moving him after just having surgery but I think it's so important for him to be held and feel the warmth of his mommy! He had some secretions from his ostomy which is a great sign. They put an ostomy bag on him last night to catch that. Our next hurdle is to have him start to tolerate slow feeds and absorb those enough to grow for the next surgery. I am praying this will happen quickly and that God will continue to heal Noah's body. 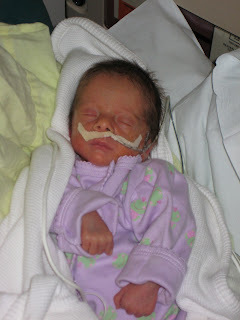 Sophia is off of her oxygen and donning her pretty clothes that Miss Jen got for her - thank you, Jen! The nurses love all the outfits you got for the babies, sometimes I think they are playing dress up all day because I'll come in to find them in new outfits just hours after the first one was put on. Finn is still on a bit of oxygen but should be coming off of that soon. He keeps taking it out of his nose so I think he's trying to tell us something. Cohen is really doing well with the breastfeeding. I think he'll catch on after a few more days. It's so fun to have him in an open crib, it makes it a lot easier to go in and just scoop him up. My sister, Emalee, has been in town since Wednesday night and has been a huge help. 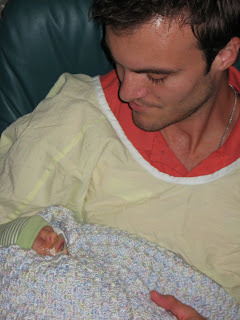 Not only getting things done around the house but to make me feel more comfortable around the babies in the NICU. I have been a little scared to just go in and take them out of the isolettes, but she swiftly pulls them out, wraps them up and loves on them. It has given me the confidence to do the same which helps so much to make them feel more like their mom and less like a daily visitor. I knew this was going to be a roller coaster and that it might be one that was a little tough to ride but I had no idea that I would want to jump off so badly. I was looking for that exit the first couple of days as I watched my babies struggle to survive. I really didn't think I was cut out for this or that I could handle it. It's amazing now to see how God will give you the strength if you allow Him to. I wrote this poem below a while ago and I revisited it this week - reminding myself the kind of mother I want to be. I hope you'll enjoy it and see that sometimes the tough times in life are there to bring you closer to who God wants you to be. Your words once again reflect your faith and strong reliance on God. I love the pictures of you and Chris with the babies, your faces shine with pride and love! Welcome back Momma!!! It is hard enough being a first time mother, then being a mother of four, then having to watch the babies struggle to survive. What incredible love, strength and faith you and Chris have. It is amazing to me to see how the babies have changed in this short of time - I love watching them grow and looking healthier and healthier every day. Thanks to you for sharing your journey with all. What you have felt these last few days is a huge undertaking and you've made it through the huddles beautifully. Motherhood is love and fear and hopes and dreams not only for your children, but for the mother you are becoming. Feel all the emotions and don't be afraid. You've got a wonderful husband, family and friends and we are all here for you. I can see that you are strong. Stronger than you know. You've got your faith and your family and those beautiful babies. That is very special. 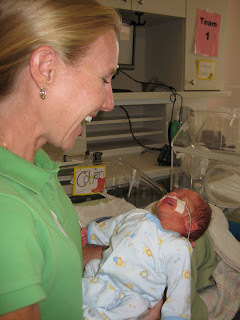 I am glad that all the babies are improving and I pray that they continue to do so. I too have felt like I was on a roller coaster with some things that have been going on recently. I have been seeing a counselor and I have come to realize the same as you that we have to go through these hard times to be biult up for what God has planned for us. If we did not go through these hard times, and grow from them, then we would not be able to do the job/task that God has planned for us. I hope to be able to talk to or see you all soon. Hello Momma Mari, I'm so glad you're back! It's been great getting the updates from the daddy's perspective, his humor, faith, and positive attitude through this journey is very uplifting. It's easy to see that ya'll make a great team! Go Team Goerlich, you are in my prayers! We continue to pray for you all daily. 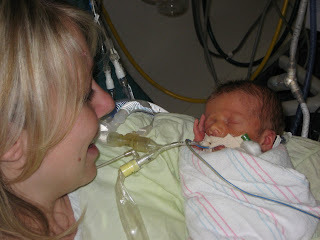 Mari's poem was beautiful and your love for one another and your adorable children shines through the pictures. what a wonderful journey. you guys are doing a great job with four precious little ones. it has been an encouragement and blessing to watch God at work in you guys and pray with you. i would love to come visit sometime, just let me know what would work best for you all. melissa zindler. I'm glad to see you back posting the blog, I love reading it. Just wanted to share what I was thinking after I read one of your postings... Children are a blessing from God so he must of thought you were incredibly special to bless you 4x! You make an awesome mom.